Personalized polka dot compacts make a unique and stylish gift for any event! 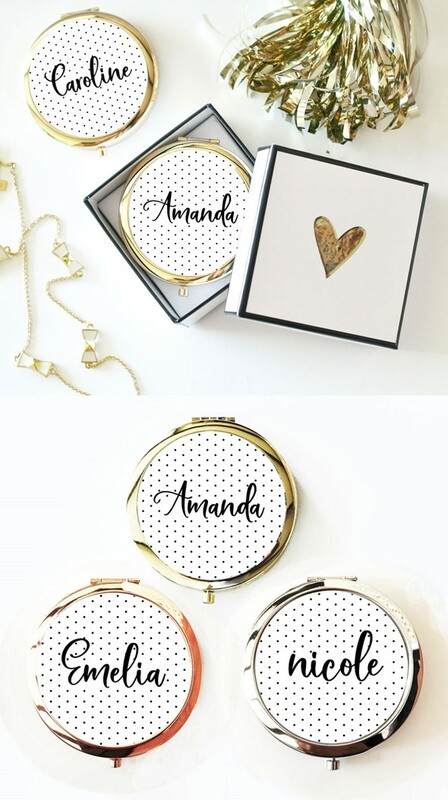 Each compact mirror comes in your choice of a gold, silver or rose gold mirror and is personalized with a custom script name on white background with a black polka dot print. PLEASE NOTE: Pictured other items are not included.